I hope everyone had a lovely weekend, with or without bunny rabbits and chocolate eggs. Spring has definitely sprung in these parts and I had the unexplainable urge to tidy my home and do some de-cluttering. It may not sound like the most exciting way to spend the weekend but I needed a relaxing time out before the upcoming week. Also, I will be away for a few days from Friday, so I needed to spend some time planning and organising. Anyway, I passed on the chocolate this weekend but did finally manage to try the soup recipe that's been on my mind for a couple of weeks. 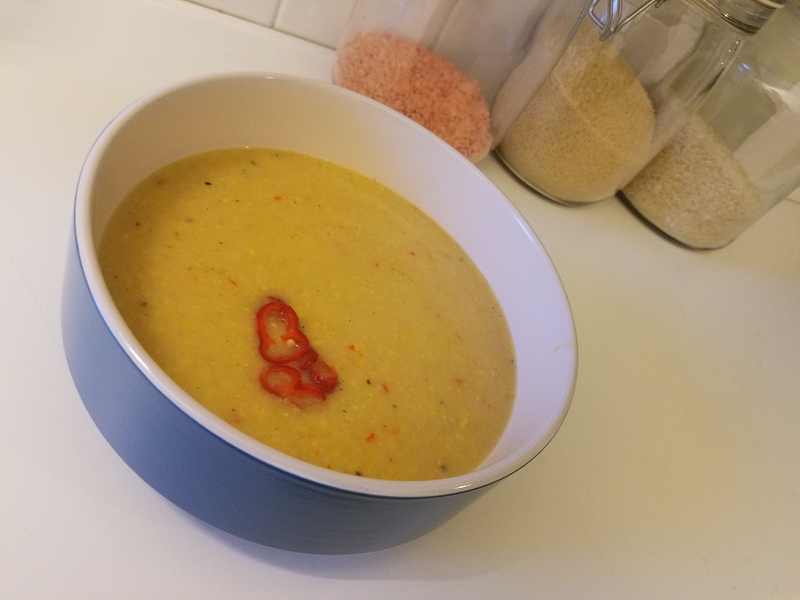 The recipe is for this Sweetcorn Soup with Chili. It turned out well and I am sure I'll make it again some time - preferably with the addition of a dollop of cream and some coriander, which I forgot to buy...again.